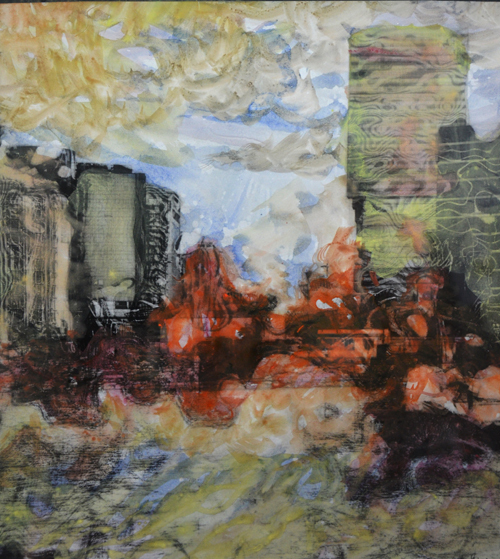 AFA is happy to announce the opening of “Ng Fong Chao: Untitled at Fifty” will be held on 26th October (Friday)! Ng Fong Chao has arrived in Macau during the 80’s at the age of sixteen. As a teenager he has started working. Though he was introduced into the harsh reality of the society at such a young age, he has since the beginning carried with him the dream of art. Through his incessant learning and practice, this dream has become his reality step by step. Currently an exhibition curator at the Macau Art Museum, he has started his studies since 1987 participating in a series of art courses. He was graduated with a bachelor degree at the Visual Art School of the Macau Polytechnic Institute majoring in Visual Art and Painting. 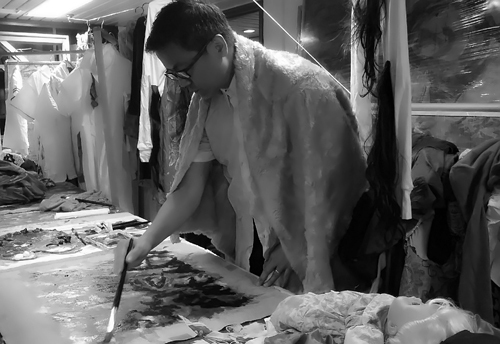 In 2010 he was graduated with a master degree at the Art Academy of Fine Arts in Guangzhou majoring in Modern and Contemporary Art Creation and Research. 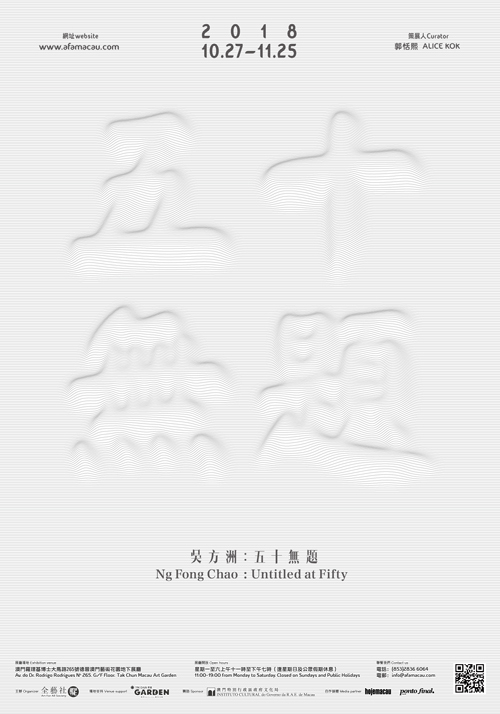 “Ng Fong Chao: Untitled at Fifty” is partly sponsored by the Cultural Affairs Bureau, Macao SAR Government. Media partners include Hoje Macau and Ponto Final. The exhibition will be opened to public from October 27 to November 25. AFA Macau is located in 1st Floor, Tak Chun Macau Art Garden, Avenida Dr. Rodrigo Rodrigues N. 265, Macau. The gallery is on the ground Floor, open from Mondays to Saturdays (11:00 p.m. to 7:00 p.m.) and closed on Sundays and public holidays. For enquiries, please call (853) 2836 6064 during office hours or email to info@afamacau.com. For more information, please visit www.afamacau.com.